Junk-foods seem to be indispensable to girls. However, if you only have 10,000 VND, which street food can you buy in Hanoi? A fried dumplings with meat costs 4,000 – 6,000 VND. This dish often comes with chili sauce or sweet and sour sauce. Meat skewer is a good street cooking many people like. It costs 6,000 – 10,000 VND. You can also pay 2,000 VND more to enjoy a loaf of bread with meat skewers. 5,000 VND is a reasonal price for these delicious cakes. These cakes are quite greasy so most people only eat one or two cakes. With 7,000 – 10,000 VND, you can enjoy a steamed minced pork rice dumpling. Many people prefer to eat this cake with chili sauce or pepper. A samosas with meat and egg costs 7,000 – 9,000 VND. This is a favourite street food in Hanoi. The dish is usually served with sweet and sour sauce, papaya salad and herbs. A Hot Quay (Finger - shaped soufleì batter) costs 2,000 – 3,000 VND. Like Banh Goi, Quay often comes with sauce and herbs. Brochettes are sold a lot in front of primary school and elementary school. Besides fried sausage and nem, there are also fish balls and shrimp balls. 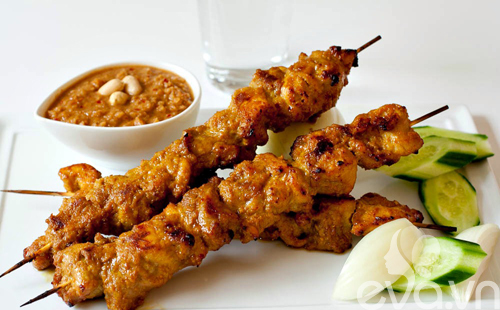 Each brochette is about 5,000 – 7,000 VND. There are two types of fried cake: sweet and salty cake. The sweet cake is made from the green beans, coconut and sugar. The salty cake is made of a mixture of minced meat, mushrooms and onions. The cakes are then coated with glutinous flour, which is then fried until golden brown. The sweet cakes are usually round, while salty cake are shaped like an egg. The sweet cake is about 2,000 – 3,000 VND. The salty cake is about 4,000 VND. This is a very nutritious dish many people like. You can enjoy this dish in the street vendor or snack stalls with 6,000 – 8,000 VND. With only 10,000 VND, you can enjoy 10 embryo quail eggs with fish sauce. Cane-juice is an ideal beverage in hot summer. The price for a glass of cane-juice is just 8,000 – 10,000 VND. 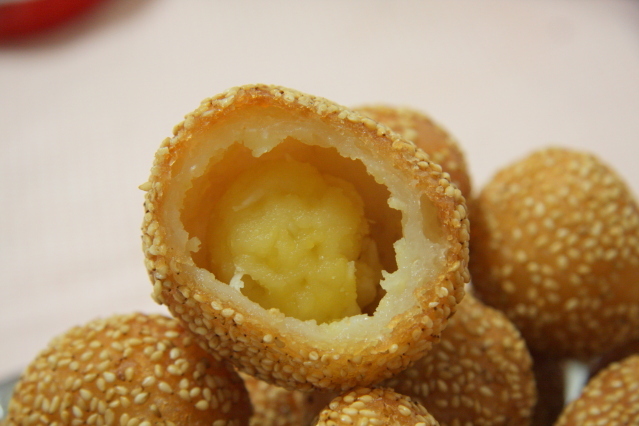 This is a famous snack in Hanoi. Trang Tien ice-cream has many flavours: chocolate, green-bean, coconut, and vanilla. Each bar of ice-cream costs 7,000 – 8,000 VND. If you want to eat a cone of ice-cream, you just have to spend 12,000 VND. 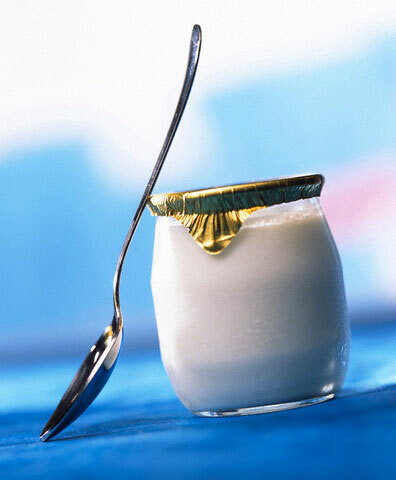 Yogurt is good for health. The price for a cup of yogurt is very cheap. It is 5,000 VND. Like yogurt, a cup of caramel is 5,000 VND. This is a popular dish in the northern Vietnam. There are many street vendors selling soyabean curb in Hanoi. Paying 5,000 – 7,000 VND, you will have a cold bowl of soyabean curb in the hot summer.